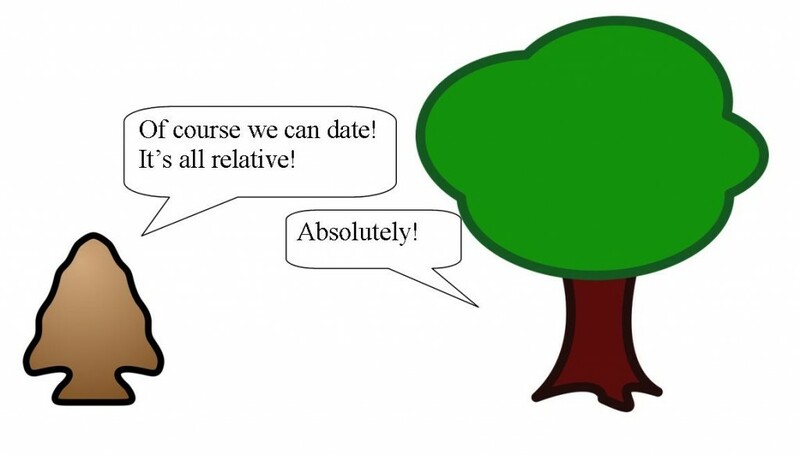 Absolute dating gives you a date for how old something is, or how long ago it happened, like 650 years ago. For example, radiocarbon dating is an absolute method. These methods are precise but are very expensive. Experts in other fields need to use high-tech scientific equipment to determine the radiocarbon date, meaning archaeologists might not always be able to use this method. Perhaps more importantly, archaeologists also need to find an organic sample to test, like charcoal or preserved seeds, which aren’t found at every site. Relative dating tells you how old something is, or how long ago it happened, compared to something else. Sites and artifacts are put in a sequence that tells you if it is older or younger instead of being given a specific date. Archaeologists are specialists in this type of dating and can use relative dating to begin to understand the history of a site as soon as we find something in the field. Archaeologists use a combination of relative and absolute dating methods to help them interpret the past. The past often gets divided into big periods like “Archaic” and “Woodland.” Archaeologists can give artifacts a relative date by determining what period they belong to. Afterward archaeologists may use an absolute dating method to find out how old it is in years, or to learn how it was used over time. Archaeologists decide what dating method to use depending on what they want to learn, and what the method is best at. Archaeologists around the world use a number of different absolute and relative dating methods, but not all of them work well in Ontario. Over the next few weeks we will be posting blogs about the dating methods used in Ontario; some of them have helped archaeologists and the museum to interpret the history of the Lawson Site. Until next time, here is a dating methods joke!